While Up North we talked with some locals at the bar down the way. They told us about a house that was for sale just up the road. Being the nosey explorers we are we wanted to check it out. Walking up to it from the road it looked like a normal little log cabin. By the time we got closer we realized there was a huge hole, on the side of the house, where the brick was completely knocked out. We could see right into the living room from the outside. We climbed up into the living room and we were amazed. 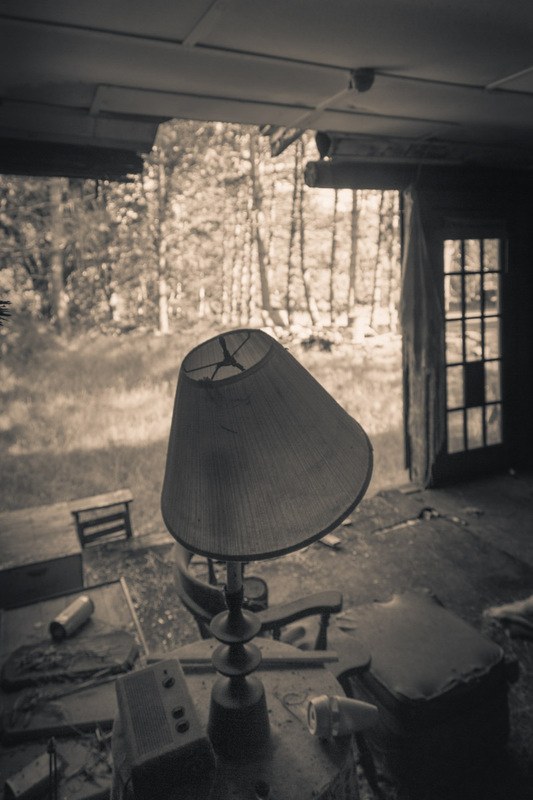 A sort of angelic light was peaking in through the windows giving areas, and objects, a spotlight. 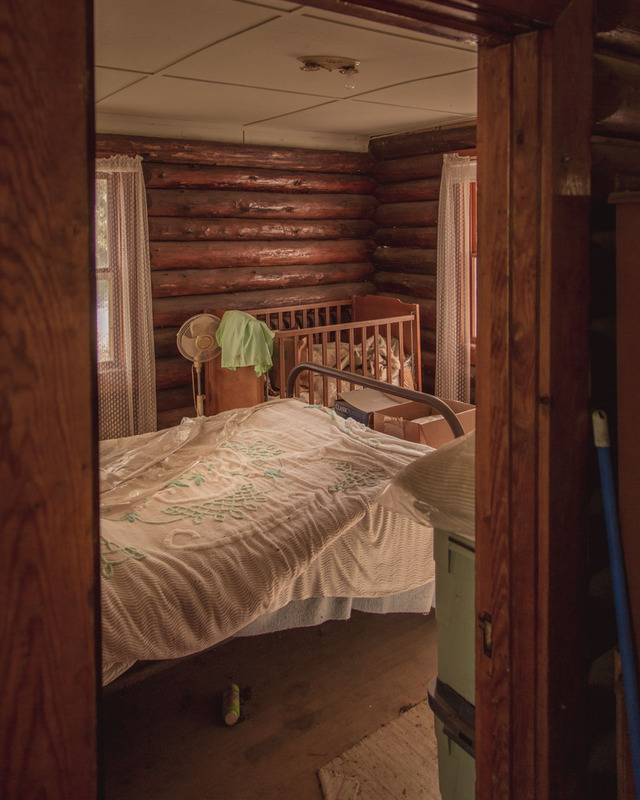 A thick layer of dust covered a dated, but fully furnished cabin. A glimpse into a different time period. Couches, chairs, and a television not from this era. A crib stuffed into one of the bedrooms next to a bed. A jacket still on the hanger. 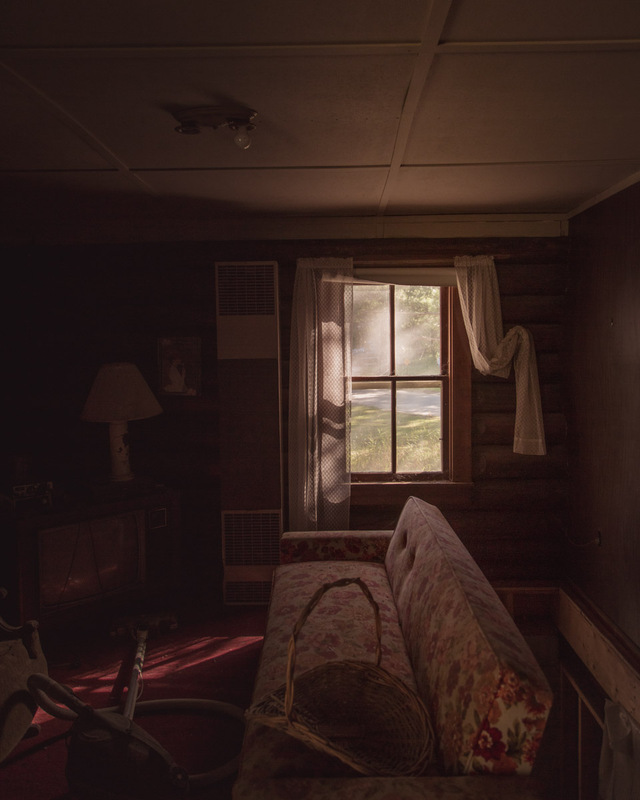 Walking around the cabin gave an eery feeling. 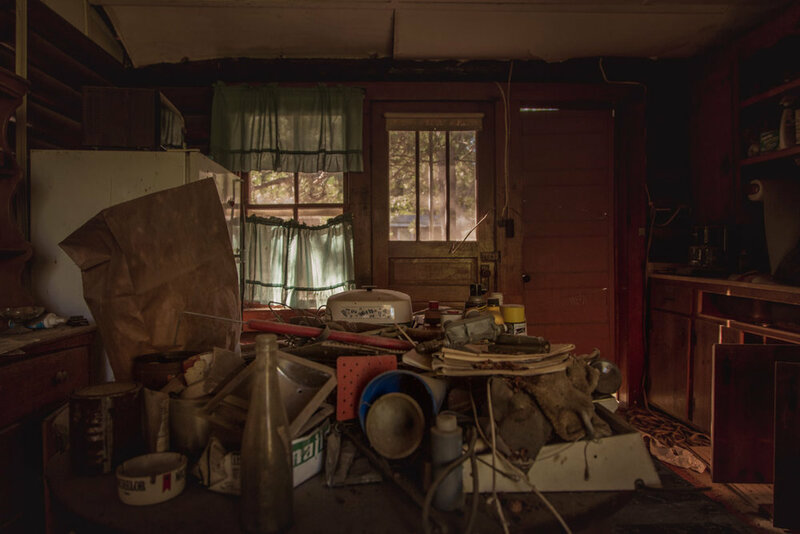 You can't help but write your own story about this family, that once lived here, walking through each room of this house. 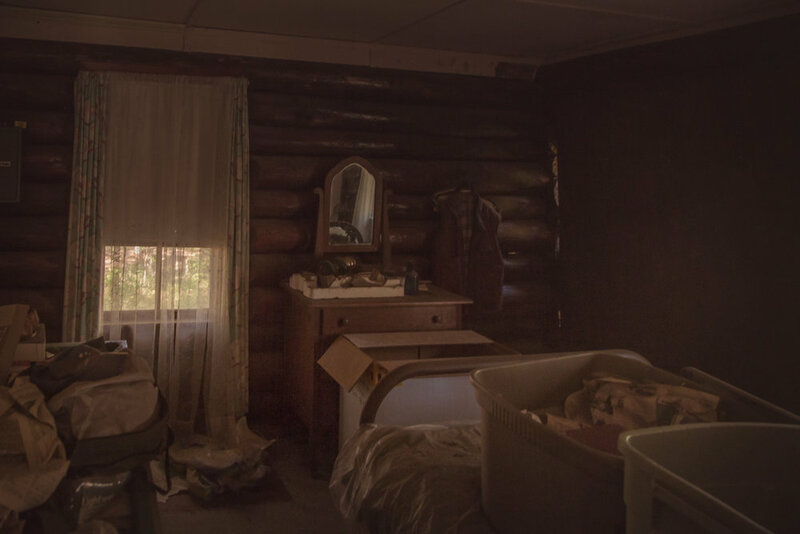 It was a very personal, almost sacred, look into a families home and life. 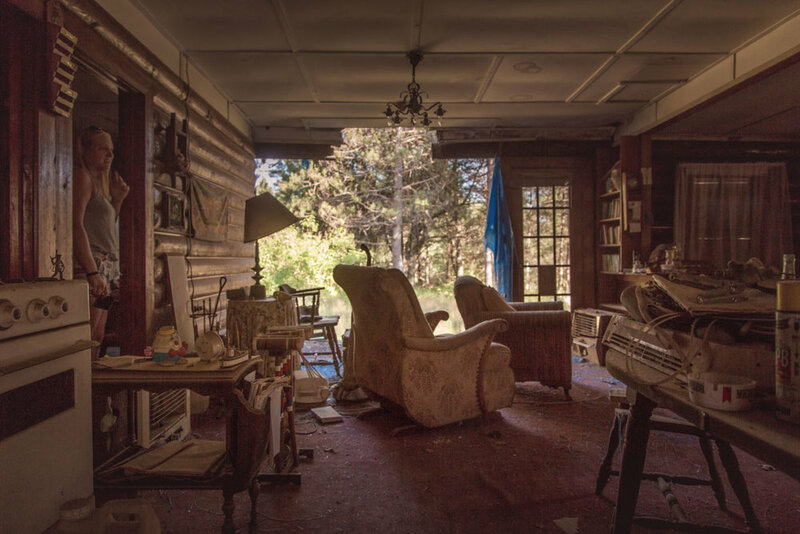 Walking out of, what once was, this families home I found myself asking...did the family just pick up and go?